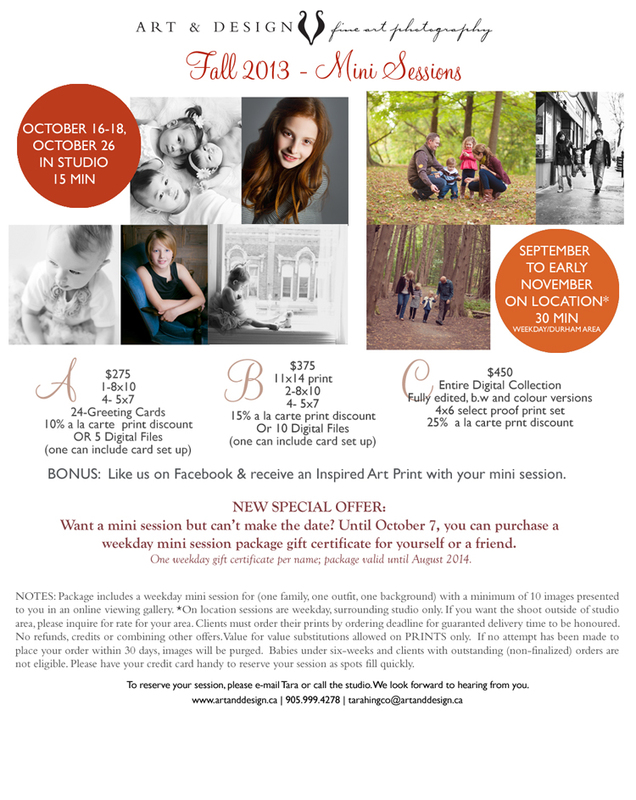 It’s that special time of year again where I offer fall mini photo sessions for a limited time. Your choice of indoor studio or outdoor on-location (around the studio, weekday). The mini sessions have been booking quickly with limited outdoor dates available. I also wanted to let clients know that I will be moving the studio later this fall so if you wanted to capture your family against the brick or window, this may be your last opportunity. The new studio space will replicate many of the features and backgrounds but the brick and window are part of the original building from the late 1800′s. This year I also have a special offer for those who can’t make the dates or want to purchase a gift for friend or holiday gift. This offer is valid until October 1.